The Networx® Feed Through Keystone Jack - RCA (Component / Composite) - Ivory - Color Coded Blue are perfect for your Audio/Video wall plate and patch panel installations. The Networx® Feed Through Keystone Jack - RCA (Component / Composite) - Ivory - Color Coded Green are perfect for your Audio/Video wall plate and patch panel installations. The Networx® Feed Through Keystone Jack - RCA (Component / Composite) - Ivory - Color Coded Red are perfect for your Audio/Video wall plate and patch panel installations. 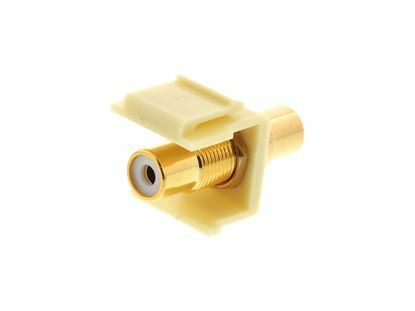 The Networx® Feed Through Keystone Jack - RCA (Component / Composite) - Ivory - Color Coded White are perfect for your Audio/Video wall plate and patch panel installations. The Networx® Feed Through Keystone Jack - RCA (Component / Composite) - Ivory - Color Coded Yellow are perfect for your Audio/Video wall plate and patch panel installations. The Networx® Feed Through Keystone Jack - RCA (Component / Composite) - White - Color Coded Blue are perfect for your Audio/Video wall plate and patch panel installations. 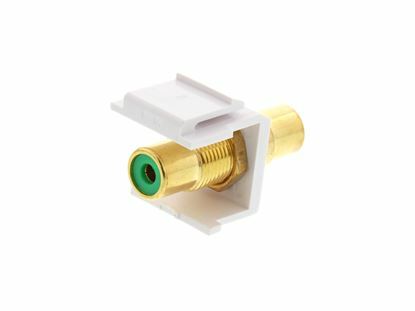 The Networx® Feed Through Keystone Jack - RCA (Component / Composite) - White - Color Coded Green are perfect for your Audio/Video wall plate and patch panel installations. The Networx® Feed Through Keystone Jack - RCA (Component / Composite) - White - Color Coded Red are perfect for your Audio/Video wall plate and patch panel installations. 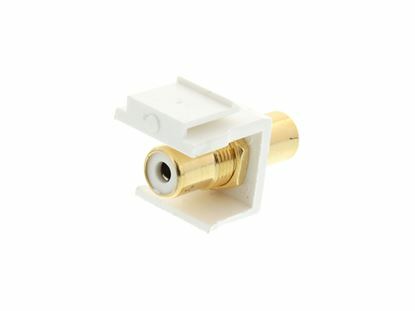 The Networx® Feed Through Keystone Jack - RCA (Component / Composite) - White - Color Coded White are perfect for your Audio/Video wall plate and patch panel installations.